It smells ah-mazing. I don’t always like scents but this is a scent I love. I use about one pump after I wash my face. I’m having some vitamin C serum issues lately, but once those are resolved, this product will go on after that. 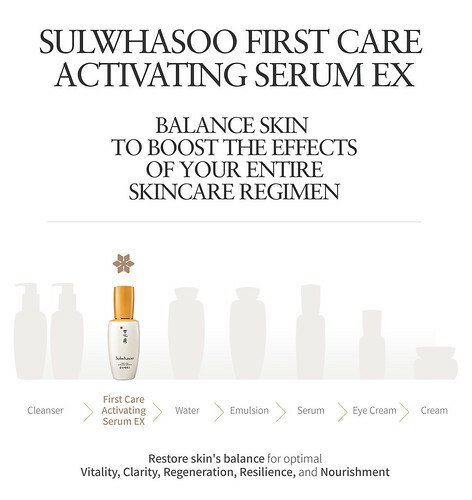 Even though it’s a serum, it is not meant to be a standalone “serum”. I think of it similar to an essence — it helps whatever you put on afterwards absorb better, but you have to put on something afterwards. The packaging feels very luxurious. I don’t think it’s glass because I knocked it off my vanity, it hit my tiled bathroom floor, and nothing happened to it. Does it give me a rosy glow? I definitely see one but is it due to this product alone? I’m not sure. I ordered two without trying it to make the most of the international shipping and because it’s hard to get/limited edition. I am that trusting, but it’s easy to resell on eBay if it didn’t work. As a baseline, the FCAS EX US retail price for 60 ml is $84 and the limited edition 120 ml is $140. The Plum Blossom comes in 90 ml only. 11st: ￦87,900 ($80 USD) excluding shipping. More on 11st below. BeautyinHanguk: $120 USD excluding shipping. Not sure how much shipping would cost. eBay: $128 with economy shipping. I bought samples of the Snowise Brightening Serum, Bloomstay Vitalizing Serum (new line not in US, also smells ah-mazing as it has plum blossom), Radiance Energy Mask (I already have the full size one and like the smaller size container of the samples), and the Trufresh Soothing Mask. Each foil packet is supposed to have 1ml and all items have expiration dates listed well into the future. I’ve tried the serums so far and like them. Each batch of samples also came with one sheet mask (a random Korean brand) as a gift. What is 11st? I ordered everything from 11st (“11STREET”) which is a Korean online marketplace that consists of many sellers. Whatever you buy is shipped from the seller(s) to 11st first, who will then consolidate the packages, and mail it to you. 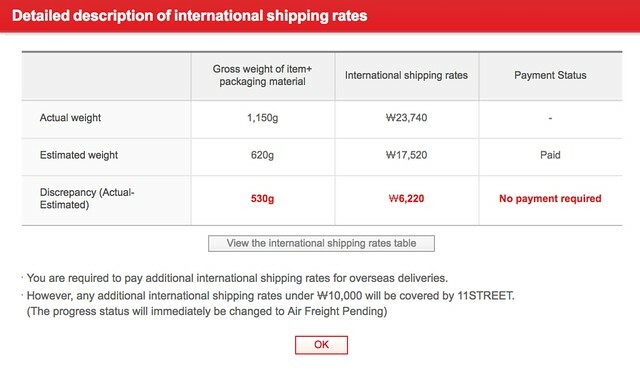 Local shipping fees (from the Korean seller to 11st) vary and is sometimes waived after you hit a threshold. This makes it very convenient, in my opinion, as you pay one international shipping fee and any issues with the sellers are dealt with by 11st. The 11st order processing process. They don’t send you many e-mail alerts, but your status is transparent on their website. You can see if it’s en route from seller to 11st, being packaged by 11st, and in transit to the destination, etc. Navigating 11st: 11st is confusing to navigate. At least they have an English site and app, but the search function only works when you input Korean or enter something generic like “Sulwhasoo”. I found the plum blossom serum through Google. I like Google Chrome because even in the English site, they have Korean in the dropdowns on the product page for product selection. What appears in the photo may not include everything being sold in the listing, so it’s important to read carefully. The seller I bought samples from is no longer selling samples. In fact, I can’t seem to find any other 11st seller with samples at the moment. Any other sample listings I find have a “Purchasing this item is not available now.” notice. Not sure if this is a temporary thing as the prices were good and they had a wide selection. The easiest way to find samples is to input the brand and sort prcing low to high. Coupons: The coupon system works the same across all of the Korean sites. Usually there is a page to download coupons. After you download it, it will show up in your checkout process to apply. Some coupons are time sensitive so you shouldn’t download it until you’re ready to place an order. There was a $10 off $50 new member coupon which I used in conjunction with another shipping coupon. There are also coupons that are App only, so I would suggest filling your cart online (since it’s confusing to find stuff) and then checkout through the app. Check out this older post by Snow White and the Asian Pear. Payments: I used PayPal. They have a disclaimer on their site that says PayPal is allowed for non-Korean orders only and that only USD/PayPal’s basic exchange rate can be used. You do lose out a little here, but I’d say that the coupons used would counteract the exchange rate overages. Shipping: Overall, I paid less than $20 USD for international EMS shipping, which I think is pretty good. Local shipping: I paid ￦2,500 ($2.27 USD) in local shipping fees for the samples mentioned above. The full size FCAS were free local shipping since they are more expensive. International EMS shipping: I paid ￦17,520 (~$16 USD). This included a shipping coupon that gave me ~$4 off. As you can see below, the actual weight of my package was much heavier, but 11st covers any overages under ￦10,000. Shipping speed: I got my order within one week of ordering. Once it shipped, it arrived in the US so fast. Confirmation of Purchases: After you receive your package, you have to confirm each item on your order confirmation page. If you don’t do it, it will auto-confirm after a set number of days. This is to make the buyer raise issues asap, I think. BeautyBoxKorea. They also have monthly specials, e.g. 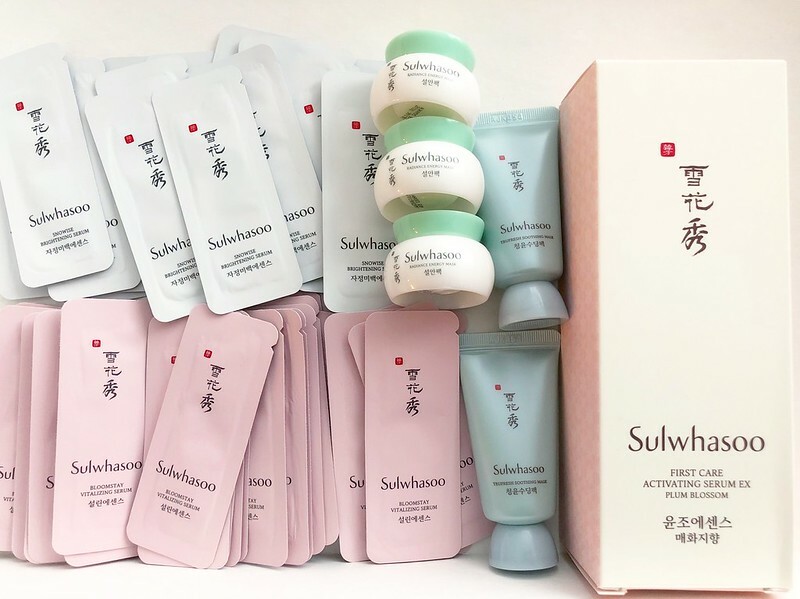 they had Sulwhasoo gift sets that were also on the Amorepacific Mall and Lotte (Korea-shipping only sites) that have a good number of deluxe samples with the purchase of a full sized item. BeautyinHanguk. See the dropdown. It shows whether it’s a deluxe sample vs a decant. SweetCorea. Before you get excited, click on the individual pages to make sure it’s not sold out. SweetCorea is my favorite site for hauling on non-luxury products like CosRX, LJH, Dr Jart, Huxley, etc. RoseRoseShop. Not much at this moment. eBay. This is the easiest site to navigate and shipping is stated, versus all shops above are located in Korea and will charge you for shipping. Filter for US sellers if you don’t want to deal with slow economy shipping.